With the U.S Presidential Elections just a day away check out some great Live Streaming Webcams from the USA with MyLiveStreams.com. Watch all the action unfold throughout America Live on Cam with this great Live Streaming Webcam Portal. Watch the reaction to all the results as they come in and check out all the celebrations tomorrow night with these Live Streaming Presidential Election Webcams. 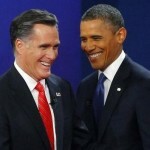 Enjoy Live Streaming Views from all over the United States of America on the eve of the Presidential Election between Barack Obama and Mitt Romney thanks to MyLiveStreams. Watch the Election as it happens Live on Webcam with mylivestreams.com. With thousands of Live Streaming Webcams to choose from, MyLiveStreams is one of the only online Webcam Directories that specializes in Live Streaming Webcams. Loads of Live Streaming Webcam categories to chose from and constantly updating new Webcams, MyLiveStreams is a great way to find Streaming Webcams from all over the world and the best place to check out the US Presidential Elections Live online!